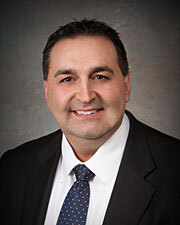 Dr. Frendo is a Board Certified Orthopaedic Surgeon with comprehensive Fellowship training in Spine. He has extensive experience in spinal surgery and research. He has performed studies on orthobiologics for spinal fusion, and on motion preservation. He is devoted to the evaluation and management of a broad spectrum of adult and pediatric spinal disorders including complex deformities, degenerative, traumatic, infectious, and neoplastic conditions of the spine. He provides expertise in minimally invasive spine surgery, as well as, complex spinal reconstruction for the treatment of degenerative disorders and deformities of the spine. He is a distinguished speaker and has authored numerous articles and textbook chapters on spine topics.